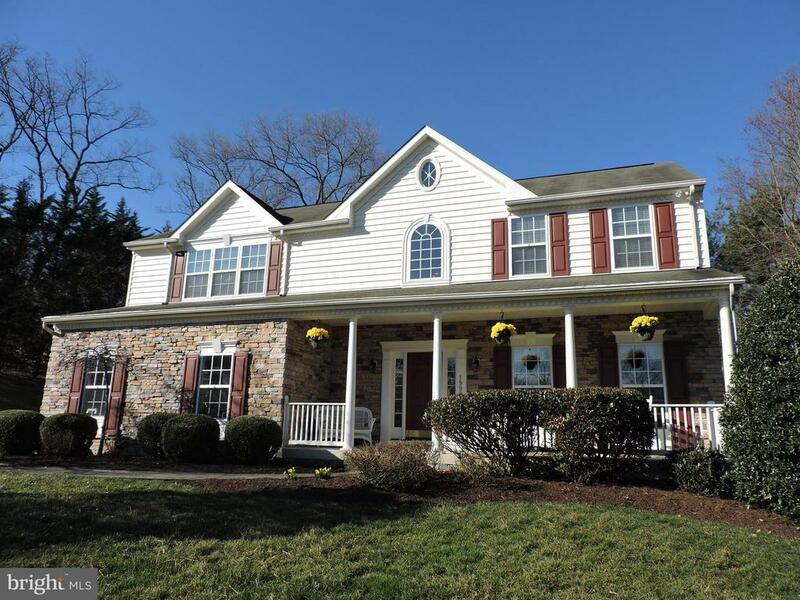 Beautiful Georgian Colonial that features a classic living room and dining room separated with columns and boast large crown molding. Sun lit dining room with 2 walls of windows, chair rail and oak flooring. Eat in kitchen with granite counter tops, open to a large family room with gas fireplace. Kitchen slider opens to a screened in porch with vaulted beamed ceiling and a large deck. Sunlit foyer with a nice stair case to bedrooms, airy master bedroom with cathedral ceiling, walk in closet and master bath with a soaking tub and separate shower. Lower level office area with wet bar and full bath. Lower level family room with a walk out to an entertainment paradise or just relax around the fire pit or in the hot tub. Come and see, you will want to stay and make this your home.